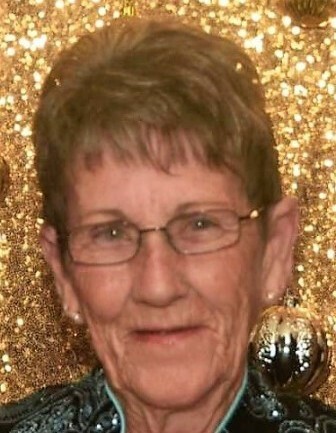 Margie Ann Harris, age 72, of Ft. Walton Beach, Florida, passed away peacefully on January 26, 2019, surrounded by loving family. Margie was born, June 22, 1946, in Ft. Walton Beach, Florida. She loved the outdoors, fishing, mudding and most of all, her family. Margie was a member of the Calvary Baptist Church in Ft. Walton Beach. Margie was preceded in death by her son, Drew Harris and is survived by her husband of 53 years, Jack Harris; son, Doug Harris and his wife, Stacy; brother, Carl Scranton; six grandchildren and five great-grandchildren. A time of Visitation will be held Tuesday, January 29, 2019 from 6:00 PM to 8:00 PM in the chapel of Davis Watkins Funeral Home, 113 NE Racetrack Road, Fort Walton Beach, Florida, 32547. Funeral services will be held Wednesday, January 30, 2019 at 1:00 PM at Calvary Baptist Church, 529 Clifford Street, Fort Walton Beach, Florida, 32547 with Pastor Mark Stevens Officiating. Interment will follow at Live Oak Baptist Church Cemetery. In lieu of flowers, the family requests contributions be made to Covenant Hospice, 220 Eglin Pkwy N, Ft. Walton Beach, FL 32547.